As dogs go, Barney is one of the best. I knew that I wanted to paint him outdoors. His favorite activity was playing ball in the park. While I could have painted him with the ball, this is all about that look he gives waiting for you to thow it again. It's intense. This was a complicated painting due to the grass surrounding the figure. 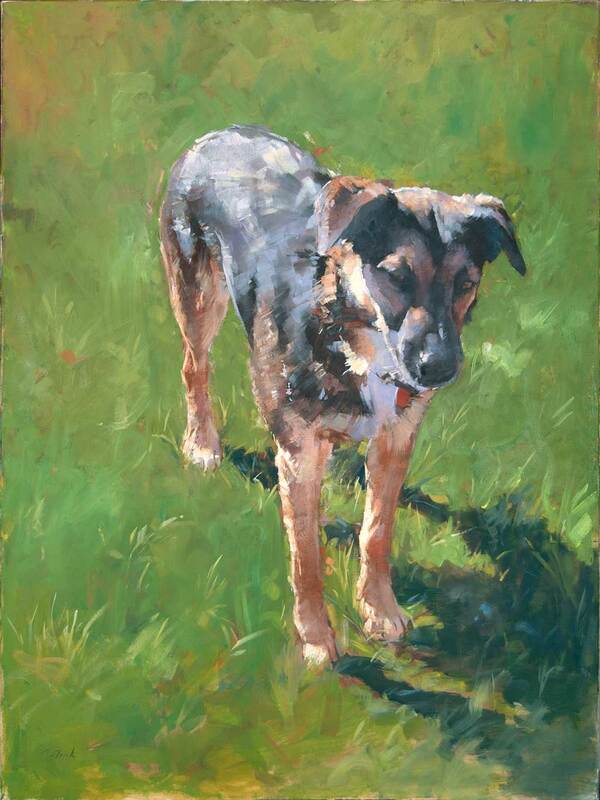 I painted and over painted it many times before it had the right balance of interest without overshadowing the figure of the dog.